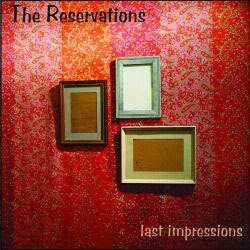 The Reservations were/are a Sydney band that began in 2002. Here you can download our music for free. In 2005, we recorded an album that was ultimately unreleased, even though it was probably our best work. The first album, that was released through Non-Zero Records, which I am guessing is impossible to find. I might add more info to this page at a later date.